Coming to grips with bad credit* is one of the main effects of car repossession, and while it makes getting another auto loan more of a challenge, don’t be deterred. A car loan after repossession is often an opportunity for a borrower to take back control of their finances, and there are numerous ways to strengthen your hand as you apply for new credit and seek the best deal. These six steps will help. Poor credit means the likelihood of higher interest rates than someone with better credit, so fully understanding your credit position will give you a better idea of what to expect if approved for a loan. Check your credit reports with the major credit reporting agencies for errors, and dispute them if necessary. You can do so for free once a year and get your credit scores, too, for a fee. Many credit card companies also make credit scores available, without charge, within their online customer accounts. Depending on how recently the repossession took place and the credit habits you’ve been keeping since, your score might be better than you think. After a credit event like repossession, building a good credit history shows a lender you’re less of a lending risk, which will improve your chances of approval for an auto loan and, if approved, securing a lower APR. The better your credit history, the more you may benefit. Paying your loans on time, again and again – Repay any money you have borrowed in a timely manner to stay current. Stay well within your credit limit – Keep balances at no more than 30 percent of your total credit limit and pay them off each month. A balance that’s close to being maxed out will be seen as a negative by a credit scoring model. Only apply for credit you need – Applying for a lot of credit in a short space of time may lead lenders to believe your finances are taking another turn for the worse. A long credit history will help – The more you can build up a track record of good habits, the more information there is to say you’re a decent credit risk. Either of these options will improve your position, especially if you need to apply for a car loan now. Applying with a creditworthy co-borrower means applying for a joint auto loan and, if approved, each party has equal responsibility for repaying the loan and rights to the vehicle. A cosigner is someone who agrees to make any missed payments or even repay the full loan if needed, but has no rights to the vehicle. Money down is particularly helpful when you need a car loan after repossession, and the more your budget allows, the more favorable your application may appear. Many experts recommend a down payment of 20 percent of the vehicle’s price, while Edmunds recommends about 12 percent for a used vehicle. Repossession is sometimes the result of the buyer purchasing a vehicle that was simply too expensive, with a car payment beyond their means. Take a look at your budget to work out how much car you can afford in terms of both total loan amount and monthly payment. RoadLoans’ auto finance calculators will help you estimate what may work. Also bear in mind that, if approved, you may be looking at a used car rather than a new one. Not all auto lenders will accept applications from consumers with bad credit, so find a lender that does, such as RoadLoans. As a full-spectrum lender, we have many years of experience helping customers get the financing they need following repossession. At RoadLoans, we not only make the financing process quick and easy, our customers enjoy the advantages of preapproval, too. It takes just a few minutes to apply securely online, in your own time, and we provide instant decisions. If approved, select the loan offer that best suits your needs and visit the dealership already knowing the terms of your financing. Seeing just how much you have to spend enables you to shop with the confidence of a cash buyer, and negotiate a great deal on your next vehicle. If the dealership offers you financing as well, you can go with the best offer. Buying a car after repossession doesn’t mean you have to settle for a sub-standard vehicle – there are plenty of high quality models out there. 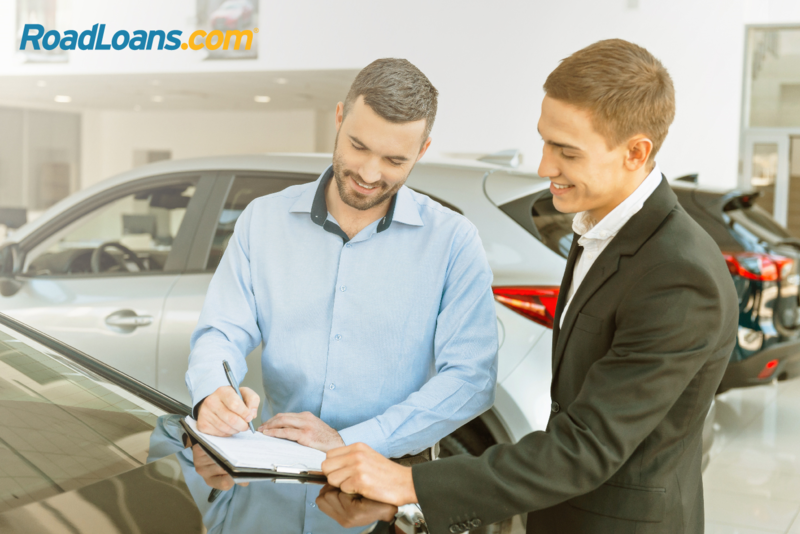 RoadLoans works with thousands of trusted auto dealerships across the country able to show customers select cars, trucks and SUVs meeting our standards for age, mileage and financing, to ensure they can make a great purchase. Once you’ve settled the price, we’ll work with the dealership to finalize the paperwork. RoadLoans customers can apply, shop and drive the same day.